The excavation of Meillionydd is part of a larger project ‘early Celtic societies in North Wales’, which aims to look at the settlements and Hillforts of northwest Wales (c. 1150 BC – AD 1150) from the Late Bronze Age to the end of the Early Medieval period [Waddington & Karl 2010, 3]. There have been other studies of settlements of Wales, notably George Smith in his 2001 ‘survey of prehistoric and Romano-British settlements in north-west Wales,’ [Waddington & Karl 2010, 3]. 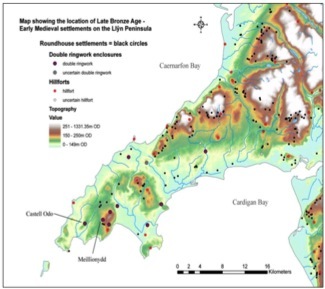 However, the archaeology of Northwest Wales is still poorly understood despite having some of the best prehistoric settlements and Hillforts in Wales [Waddington & Karl 2010, 3]. There have been a small number of excavations in Northwest Wales, where the chronologies have not been defined adequately; environmental assemblages are uncommon and, sites have a low number of dateable finds [Waddington & Karl 2010, 3]. 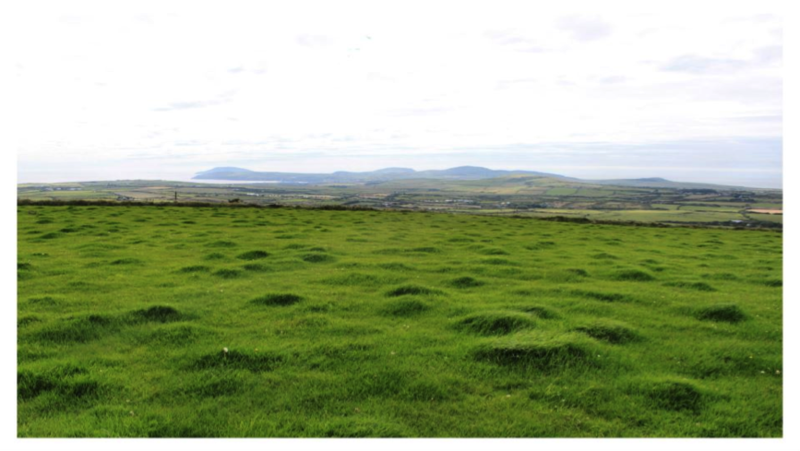 And so, the excavation of Meillionydd is designed to explore a hilltop double ringwork enclosure near Rhiw, in Gwynedd, on the south end of the Llyn Peninsula. The hilltop forms a mountain rage that descends into the bottom of a valley from the higher slopes of Mynydd Rhiw, where a Neolithic axe-factory can be found, including two other double ringwork enclosures: Conion and Castell Caeron, which are not visible from Meillionydd [Waddington & Karl 2010, 4]. Surrounding Meillionydd there are four sites that are visible; from the west of the hilltop, there is the double ringwork enclosure of Castell Odo; from the northeast of Meillionydd in the distance, there are the striking Iron Age Hillforts of Carn Fadryn, Carn Boduan and Tre’r Ceiri [Waddington & Karl 2010, 4]. There were five aims of the excavation of Meillionydd in 2010. 5.) And lastly, to measure the prospective for the creation of Late Bronze Age artefact-rich deposits and ceramics [Waddington & Karl 2010, 4]. Trench 1 was placed over the inner ditch and bank and was 13m by 2m. 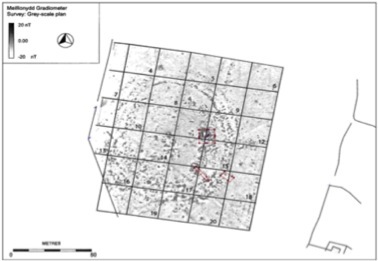 In addition, the trench was placed over an area where the soil was magnetically enhanced, which also seemed to correspond with the periphery of a roundhouse [Waddington & Karl 2010, 7]. The central aim of this trench was to explore a long and thin gap and so allow for the examination a variety of characteristics, which would measure the stratigraphic link between the inner boundaries and the adjoining internal occupation deposits [Waddington & Karl 2010, 7]. An additional aim was to measure the attributes of the magnetically enhanced soil [Waddington & Karl 2010, 7]. 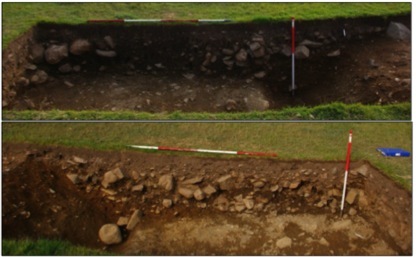 Trench 2 was placed on the south-eastern side of the enclosure and was 7.5m by 4m [Waddington & Karl 2010, 7]. This trench intended to examine a gap through the boundary of the outer bank and also through what was originally identified on the geographical survey as the outer ditch, which was seen as a linear anomaly [Waddington & Karl 2010, 7]. The main aims of this trench was to investigate the connection between the outer bank and ditch, to measure if the boundaries were contemporary with the inner boundaries, in addition to, confirming whether an entrance to the enclosure was in existence there [Waddington & Karl 2010, 7]. Trench 3 was split into quadrants and labelled 3A, 3B, 3C and 3D [Waddington & Karl 2010, 17]. The trench was 10m by 10m and was situated in an area just inside the inner bank, within the eastern section of the enclosure and near another possible roundhouse [Waddington & Karl 2010, 8]. The main aim of this Trench is to examine a section of magnetic enhancement [Waddington & Karl 2010, 8]. In addition, it was anticipation that Trench 3 would explore the stratigraphic relationship between the inner bank, as well as, examining the internal occupation deposits [Waddington & Karl 2010, 8]. 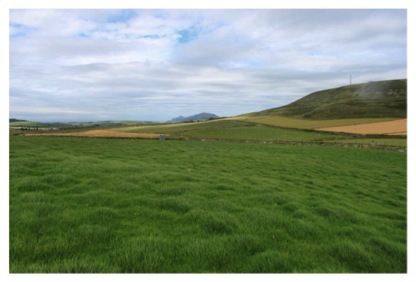 The 2010 excavation was very successful and allowed for the confirmation of the geophysical surveys by Gwynedd archaeological Trust [Waddington & Karl 2010, 27]; thus displaying the occurrence of a circular double ringwork enclosure, which was constructed from stone and earth banks, and that seems to have been adjunct to by quarry hollows/scoops [Waddington & Karl 2010, 27]. In the north-western end of Trench 1: the sequence of roundhouses was made up of a multitude of cut features and stone structure, which indicated that one or two timber structures were followed by the building of a stone-walled roundhouse [Waddington & Karl 2010, 27]. The concentration of occupation features that were identified within the area, as well the presence of intercutting features, indicates a multi-phase sequence [Waddington & Karl 2010, 27]. Following the abandonment of the stone roundhouse, the structure has been deliberately infilled with rubble that was probably from the destruction of the adjoining stone bank [Waddington & Karl 2010, 27]. It has been interpreted that this may be an elaborate closing rite [Waddington & Karl 2010, 27]. Located to the east of occupation zone, an arrangement of deliberately placed large boulders, were partially set within a shallow linear trench of the inner bank. In the central area of the trench, a single posthole was found [Waddington & Karl 2010, 27]. However, as Trench 1 was 2m wide: it is not possible at the present time to come to conclusion on whether the feature originally formed part of a palisade or building [Waddington & Karl 2010, 27]. The sequence at the south-east end of the trench has had issues over interpretation, as was very complex in his phasing [Waddington & Karl 2010, 27]. The evidence indicates that a narrow flat-bottomed ditch originally enclosed the settlement [Waddington & Karl 2010, 27]. Later, with the creation of a shallow, wide flat-bottomed quarry hollow, which was positioned in front of the outer bank, the whole area was re-organised; this feature also cut through the fills of the earlier ditch and so, has been argued to be linked with the construction of the outer bank [Waddington & Karl 2010, 27]. In addition, the rubble fills of the quarry hollow indicate that it was intentionally back-filled, and can be arguably been done during the abandonment of the site when the roadhouse and bank structures were destroyed [Waddington & Karl 2010, 28]. It must be noted that the digging and re-cutting of ditches was a common practice in the Iron Age and, displays the importance of a continual redefining and altering of settlement boundaries [Waddington & Karl 2010, 28]. The outer bank of the enclosure was examined in Trench 1 and it was established that outer bank was built from a simple dump of earth and stone [Waddington & Karl 2010, 28]. Also identified with this feature at the north-western end, was some burnt stones as well as probable evidence for internal facing stones [Waddington & Karl 2010, 28]. It must be noted that the outer bank had been badly disturbed and shortened [Waddington & Karl 2010, 28]. Stone rubble was indentified infilling the quarry hollow in trench 1 and this could indicate that the bank has been slighted or, had slumped into the stone quarry hollow during a later phase of occupation or a post-abandonment phase of activity [Waddington & Karl 2010, 28]. Just in front of the bank in the south-western corner there were three post holes, and a curving line arrangement of well placed stones, which could be interpreted to be linked with the bank, or perhaps a representation of the existence of pre-bank occupation buildings [Waddington & Karl 2010, 28]. These points of interest were exposed but not excavated. In trench 3 there were a series of timber and stone roundhouses [Waddington & Karl 2010, 28]. 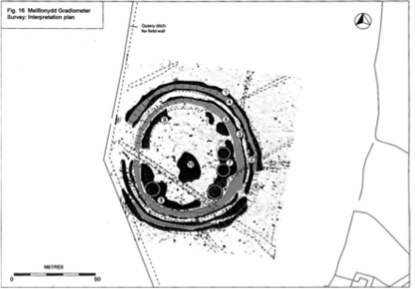 An arc of postholes that seem to have shown a circular structure can be identified to be an early timber roundhouse, c 8m in diameter [Waddington & Karl 2010, 28]. Also linked to this is a central hearth. In Trench 3A and 3C the presence of timber building can be identified by other postholes and indicates that there may be the presence of multiple phases of occupation [Waddington & Karl 2010, 28]. In a hollow in the north-western side of trenches 3B and 3C, there was one or perhaps two stone roundhouses [Waddington & Karl 2010, 28]. Along the western side of the structure in Trench 3B the stone wall of the latest roundhouse house was remarkably well preserved and was probably because of its placement in the hollow [Waddington & Karl 2010, 28]. The roundhouse structure was build from a thick stone-faced wall with an earth or turf centre and with an entrance in the southwest [Waddington & Karl 2010, 28]. The inside stone facing was very well constructed, which partly protected the central hearth of the earlier timber roundhouse [Waddington & Karl 2010, 28]. The Roundhouse contained a large stone-lined pit and two spindlewhorls that were recovered from occupation/abandonment deposits, which were found to be disturbed [Waddington & Karl 2010, 28]. One of these two spindlewhorls was partly finished, which indicates that artifact-creation was undertaken on the site [Waddington & Karl 2010, 28]. The roundhouse was deliberately infilled with a dense layer of rubble since its abandonment, which was comparable to the stone roundhouse in Trench 1; the rubble from the destruction of the nearby inner bank that may have been partly shown in Trench 3A, was possibly used to infill the roundhouse [Waddington & Karl 2010, 28]. In the southern side of Trench 3C, another cut for a wall of a roundhouse was found and this was left unexcavated [Waddington & Karl 2010, 29]. Unlike those found in Castell Odo, there were no dark earth artefact-rich deposits in the Trenches [Waddington & Karl 2010, 29]. Nevertheless, what were interesting were the large amounts of burnt stones in the abandonment periods/places in Trenches 1 and 3, which indicate the activity of burning, possibly linked to the abandonment of the site [Waddington & Karl 2010, 29]. Other interpretation of this burning include cooking and the consumption of food, which indicates a prearranged practice of the deposal of ‘refuse’ [Waddington & Karl 2010, 29].’ These residues is can be argued to have been deliberately place within the abandoned roundhouses, or before this – these burnt martial may have built up on top of the banks, with the boundaries later being leveled and the stones placed within the nearby roundhouses [Waddington & Karl 2010, 30]. In addition, the build up of burnt stones within the area of the boundary possibly worked a variety of ways [Waddington & Karl 2010, 30]. Firstly by enhancing the boundary through displaying colourful stones; and secondly, by providing a mnemonic tool, and arguably there to remind people of earlier feasts and performances that happened within the enclosure [Waddington & Karl 2010, 30]. This Dig at Melllionydd has had four seasons of excavations and is on target for a fifth in 2014. For more information, please look up the Bangor University, Professor Karl and Dr Waddington in the Links page. 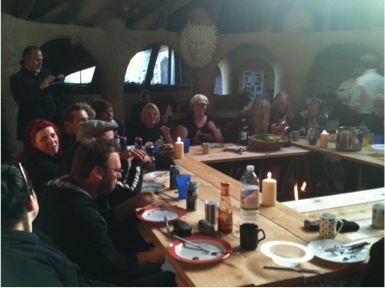 I will end with a image that tells you more than words, just how much fun we had.